We're at the starting line of the busiest part of the season. 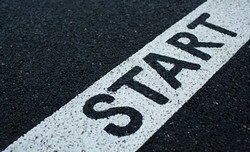 It's time to set yourself up for maximum success in the weeks ahead! Set Boundaries. Avoid burnout by scheduling all your time effectively. That means scheduled work time and family time without distractions. And never, ever wasted time. Eliminate bad habits so you can focus on what's important. Sell at Full Price. Never discount during peak sales times. Rising costs mean rising prices. Customers will accept this because they want the work done. Don't forget add-ons and upgrades either! Play to Your Strengths. Don't say "yes" to everything. Avoid projects that overwhelm with details and distractions. Drive your business towards what you like and what you're good at. Work Hard & Work Smart. Be intentional in the customers and jobs you take. This is the easiest time of year to score the best profits. Bank some money while the economy is strong, pay down debt and restock your winter fund. Let us know what we can do to help you crush it! Learn how to save $$ on your upcoming projects with our special offers from Rain Bird on rotors and dripline. Click here for details. After years of price stability, manufacturers have been raising prices aggressively in the last 3 months. These changes are impacting nearly every category of landscape and irrigation supplies. We have compiled a webpage that summarizes all of the current and planned price increases by our vendors. Collaborate with your North South representative to obtain updated quotes prior to bid. 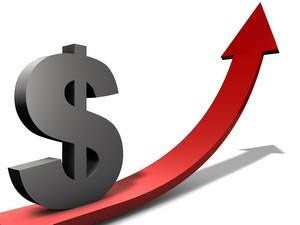 Include material cost increase clauses in your bid documents. While material cost increases may seem to be bad, discover how they can help you. They are an opportunity for you to raise your pricing to achieve a higher profit level. We hope you take advantage of this opportunity! Why is it so important to have a well-stocked and organized service truck? The key reason is productivity. A service technician who has no problem finding parts, supplies and tools can get right to the task at hand. Plus, customers are always happy to hear "I've got the part right here on my truck and can fix that right away." A stocked truck also saves unnecessary and time-consuming stops to pick-up miscellaneous supplies. 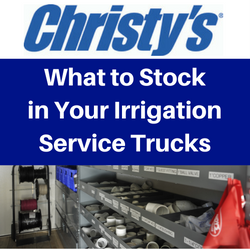 For our customers' convenience, we offer a complete line of Christy's tools and job site essentials to make stocking and re-stocking your trucks easy. Just shop the convenient displays in our stores to grab the items you need to ensure that you always have the right consumable supplies to get jobs done quickly, correctly and safely. Click here for a printable checklist to guide you in selecting and stocking job site essentials for spring irrigation service. Provide a copy to each of your technicians to be sure each of your trucks is stocked and ready. 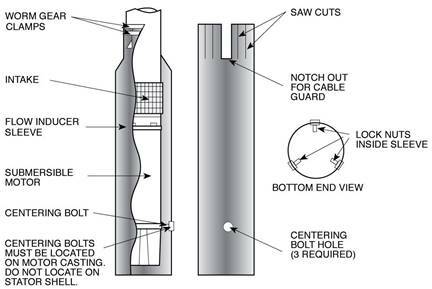 Traditionally, a submersible pump is installed vertically in a drilled well inside a casing (like PVC). Sometimes customers want the performance that a submersible pump provides, but want to install their pump in an open body of water, like a lake or a pond. Although not ideal, this can be done. 2) Angle of the installed pump A submersible pump cannot be installed horizontally. It is recommended that the pump be installed as close to vertical as possible, but no less than 10 degrees. 3) Avoid installing at the bottom of the body of water Most open bodies of water have vegetation, sediment, and other debris settled at the bottom. To avoid pumping these elements through your pump, it is recommended that the pump be suspended at least 10 feet from the bottom. In this helpful technical article from LASCO Fittings, discover the forces that cause failure in threaded pipe connections and how to take steps to control them in your installations. Irrigation systems often experience water hammer, which occurs when an irrigation valve rapidly closes as it shuts off and water flowing through the pipe is brought to a quick halt, creating a reversing shock wave in the pipe. Water hammer is notably recognized by a banging noise in a building's piping (which is particularly undesirable early in the morning when the irrigation system is running), and can be destructive to system components or cause pipe connection breaks. Water hammer can be mitigated by installing a water hammer arrestor, such as the Zurn Wilkins 1250XL, into the irrigation system as close as possible to the inlet side of valve that is causing water hammer. Water hammer arrestors absorb the energy of the shock wave like a shock absorber on an automobile when it drives across bumps in the road. In addition to causing damage to the irrigation system and components, water hammer causes relief valve discharge on reduced pressure principle assembly backflow preventers. This unnecessary and unwanted release of water from the relief valve vent not only violates water conservation regulations, but can range from a small nuisance discharge to a large discharge that could cause flood damage. Water hammer should be prevented to maintain normal operation of the irrigation system's backflow preventer. Another solution for mitigating water hammer is to install a soft-seated, spring-loaded single check valve, such as the Zurn Wilkins 40XL2, on the inlet piping leading to the water hammer source. The single check valve operates as a barrier, preventing water hammer from moving backwards in the pipe past the single check valve and isolating the inlet pipe and components from the negative effects of the shock wave. There are cases where the water hammer shock wave is great enough to require the installation of a water hammer arrestor and a single check valve in the irrigation system. Whatever method is chosen to mitigate water hammer, preventing it will reduce the premature failure of system components, reduce the chances for pipe connection failures, conserve water, and stop the banging noise. For water hammer arrestor sizing information and installation instructions, click here.